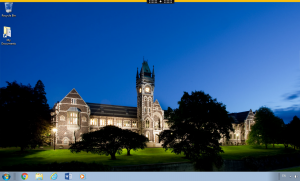 The Student Desktop is accessible by logging in with your student username and password. A range of software is automatically included for every student, including Microsoft Office and EndNote (used for citing text in assignments), as well as up to 1 terabyte of storage space. Fully-featured – installing the Citrix Receiver/Workspace.